I love to create different ways to decorate my home and my gifts for the Holidays. 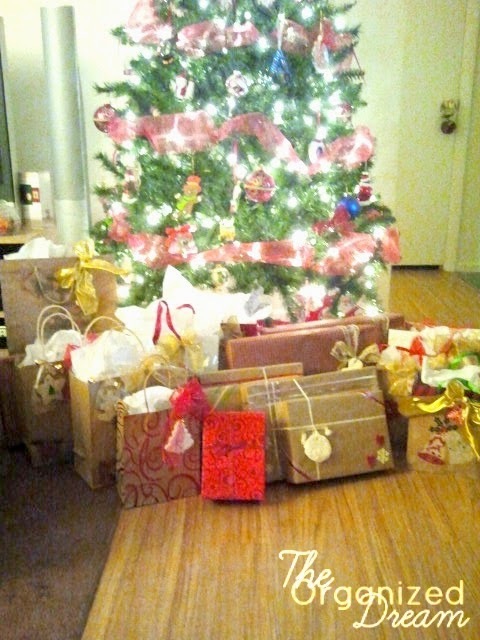 I get excited to gift more than to receive and decorating my gifts are so much fun. This little recipe I'm sharing today can be used in so many different ways and it's definitely kid friendly. My daughter and I had a blast making them. We created ornaments and gift tags. You can use it however you'd like. Add ingredients to a pot over medium heat. It will thicken as it heats. Once it has a creamy clay consistency, remove from heat. Place dough in a bowl and cover until cool. Preheat oven to 175 degrees F. Knead dough. Place parchment paper and roll out dough to about a 1/4 inch thick. Cut out your shapes with cookie cutters. 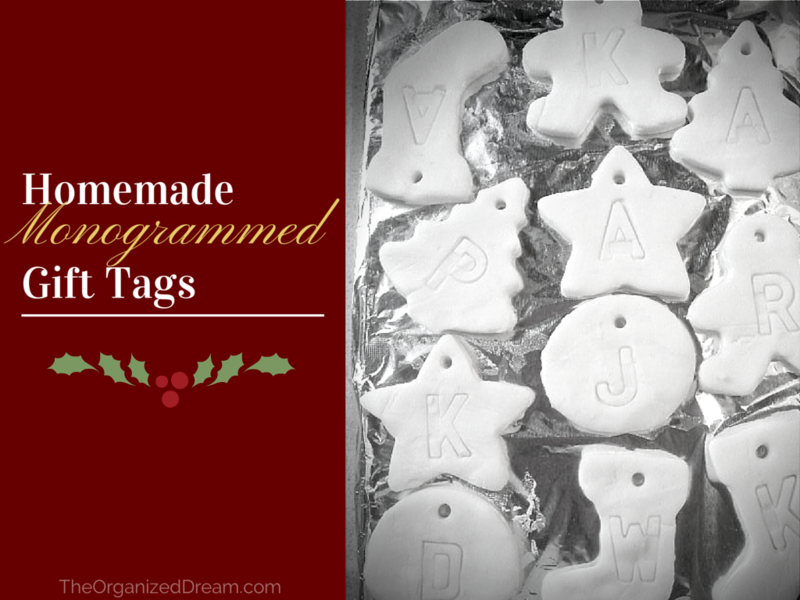 When done, use magnetic letters to place initials of those you're gifting to to create gift tags for your presents and use a straw to make a hole at the top. Place parchment paper on baking sheet and bake in oven for about an hour, turning half way through. Once they are cooled, use pipe cleaners, string or curling ribbon to make into an ornament. If you're opting, like I did, to use them as gift tags, attach them to the gifts for a decorative monogrammed look that the recipient can keep. This recipe also works great for preserving hand prints. You can also paint them when done, but I love the creamy ivory color and it popped against the brown wrapping and festive accents on my gifts. I also created a few with our initials to use as ornaments on our tree for a keepsake. Interested in more? Subscribe via email HERE. Follow me on Facebook, Twitter, Pinterest and on many more HERE. What a nice idea - and you can use them year after year! Just an FYI - I had to open a new browser to comment (something I usually don't like to deal with) because I can't see the text in my regular browser to type it in. You may be missing a lot of comments if others have the same issue. So cute! I love all DIY project that you can do with kids! These look great! I've made ornaments like this before, and used a little bit of food coloring mixed with egg yolk to paint them before baking. They turned our really great! I love the idea of using these for gift tags!! Awesome! The food coloring is a great idea! I should try it out! Thanks for stopping by! 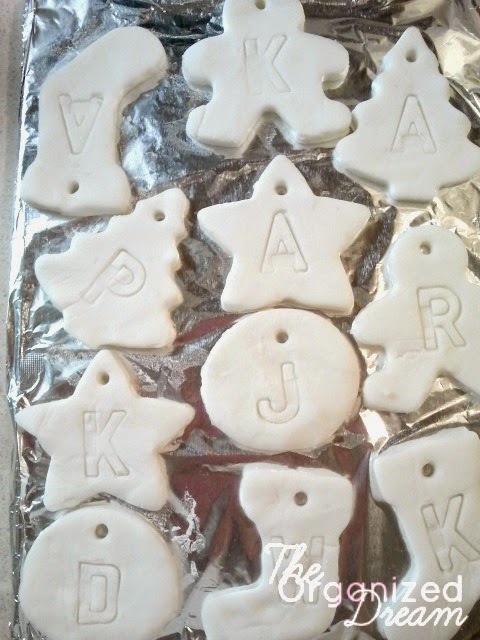 Love baking soda dough and plan to make some ornaments too. Thanks for sharing on Merry Monday. You're welcome. I love joining every week! So simple, yet elegant! Pinning this to my Christmas board. Thanks for sharing at the Weekend Wind-Down party! These make a great kids craft for the holidays. I have been trying to brainstorm some ideas for ornaments this year. My daughter loves doing them. It's super simple and keeps them occupied. I have some from last year and they held up well packed away. What a cute idea!! Thanks so much for stopping by!